If you’re reading this post it’s because you decided to build your own website. Not feeling the “nice” so much, uh? Is it more of a scary feeling? That’s okay, you’re allowed. It might not feel that nice right now when you’re starting to grasp everything you’ll need to do and learn to build your own personal website with WordPress. Especially if you’ve spent the last hours, not to say days, researching and looking into themes that all look the same to you now. It’s confusing and it’s overwhelming. And you just wanted to have a neat website for your personal brand. One you can control from day 1 and grow with it. I want you to get back to feeling the “nice”. I’m about to show you that’s absolutely possible. You don’t need to become a website development expert to have your own good-looking well-built website with WordPress. 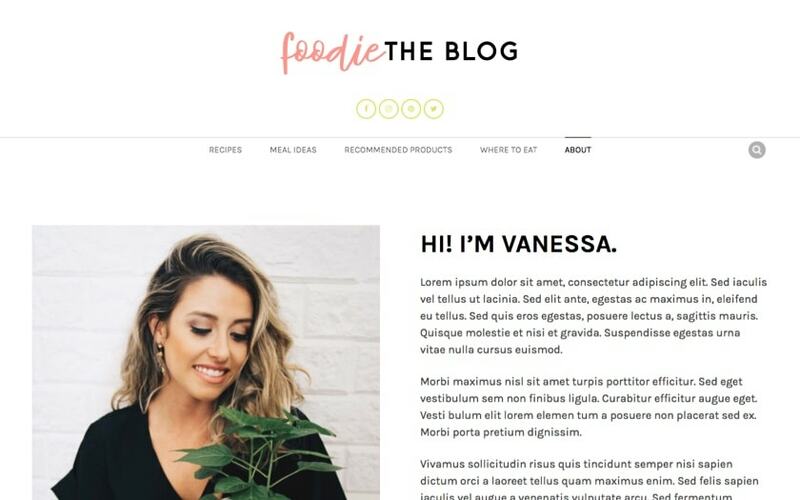 What you need is a theme that will let you create your website in an intuitive way and get you the results you’re looking for at the same time. 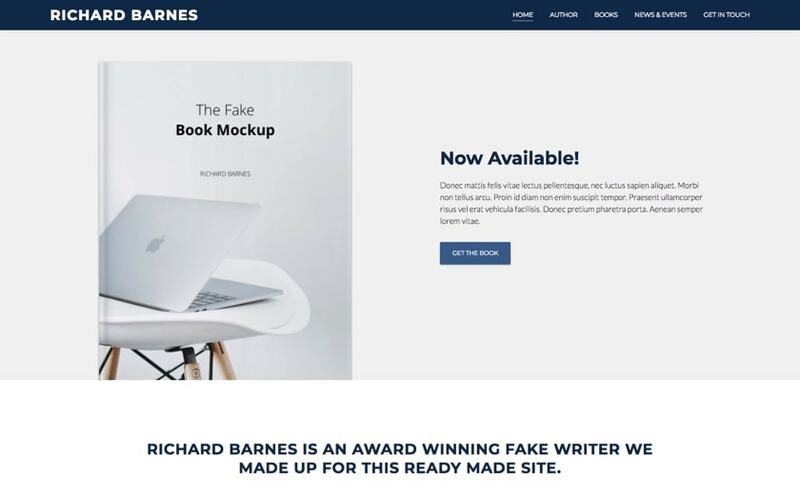 That’s what our themes do: they let you build a WordPress site by stacking modules one on top of the other and customizing them to match your voice, your brand and your project. To make your building process even easier, our themes come with fully functional ready-made sites you can import with one click. So you just replace the content with yours and your website is ready to go live. Here’s a list of the most beautiful sites built with our themes that are specifically designed for personal websites. What you see in the demos is exactly how your website could look like. 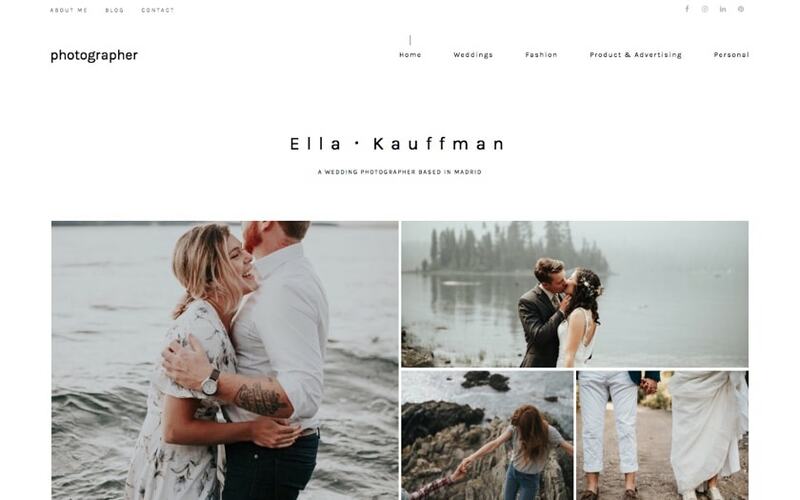 Each site is based on one of our themes, so if you see one you like, you just purchase the theme it’s built off, and you’ll be able to install that same website right away. And, of course, you’ll get all the theme’s perks as well. Hope you find the perfect theme for your website in this list! 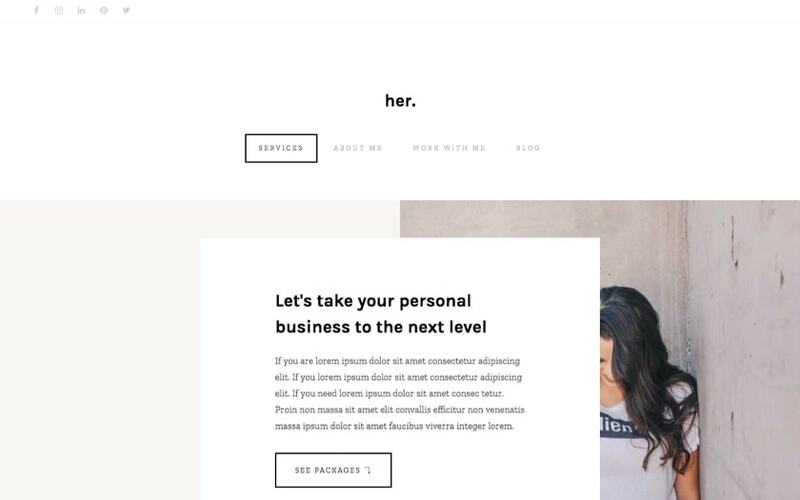 Her is a minimal and beautiful website for a creative, an expert, a coach, an advisor or any other solopreneur. It’s delicate and feminine as hell, and it’s based on Pepper+ WordPress theme. It comes with these pages ready to use: Home, Services, About me, Work with me, Blog. Consultant is based on Indigo WordPress theme. It’s a ready-to-use site for a coach or a consultant, with a modern and slick appearance. It includes a homepage, an about page, a blog page and a landing page for an online course, ready to fill with content. One of our most beloved designs. A chic and modern ready-made website for an expert, a coach, an advisor or a freelance designer. It’s based on Pepper+ WordPress theme, and it’ll let you showcase your services and posts, tell people about yourself and get them to contact you. 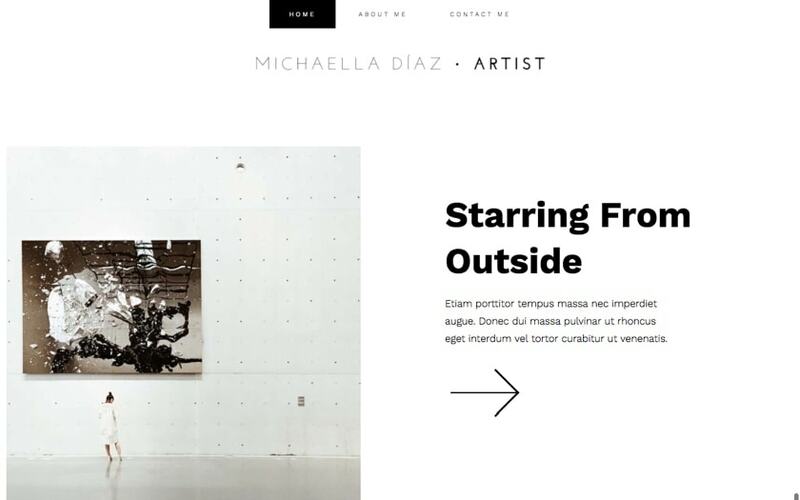 If you’re looking for a minimal and unconventional website to showcase your art, this is the one. 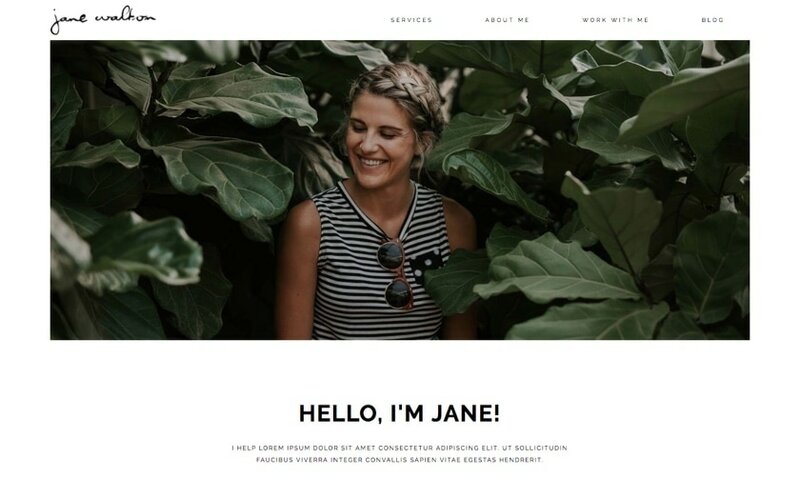 The Artist is based on Pepper+ WordPress theme, and it will absolutely make your work look good. It is most suitable for artists, designers, illustrators and photographers. Author is the one to go with if you’re a writer looking to promote your books and activity. It has a prestigious and elegant look-and-feel, and it’s based on Modules WordPress theme. Colorful, bright, cheerful. That’s Foodie. 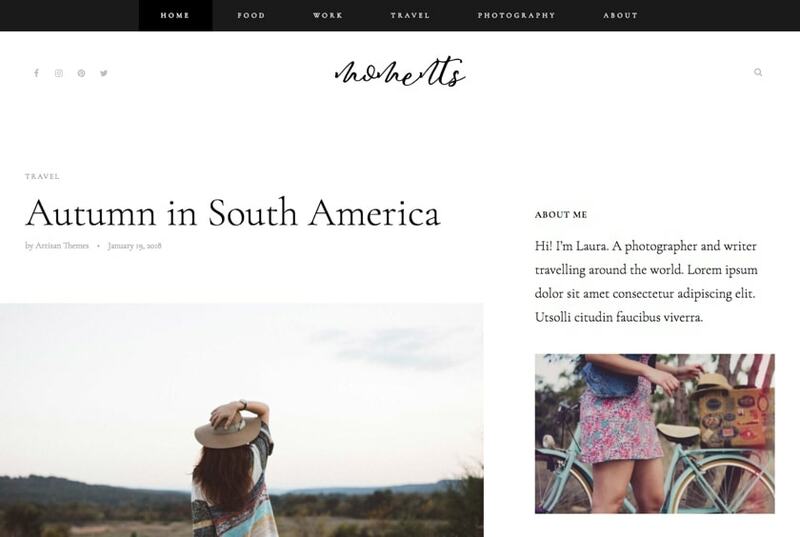 An Artisan Site based on Binder PRO WordPress theme, designed for an inspiring blogger. If you’re about to launch a blog about food, lifestyle, traveling, parenthood and such, this Artisan site will get you there much faster . 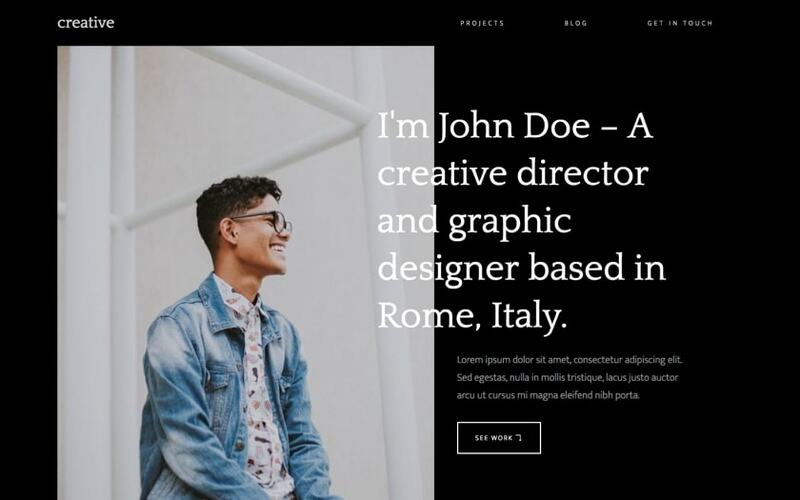 With 4 homepages to choose from and a neat style, this ready-made site can serve any kind of freelancer or portfolio website. It was created with Modules WordPress theme and it’s sharp, vivid and creative. Photographer is one of our most beautiful, eye-catching ready-made sites. It was designed to make your personal photography business look professional and sophisticated. It has 3 complete sets of different home pages, about pages and contact pages, so you choose the ones that perfectly match your style. Are you a passionate blogger who writes about travel, food, work, photography, fashion or any other cool stuff? 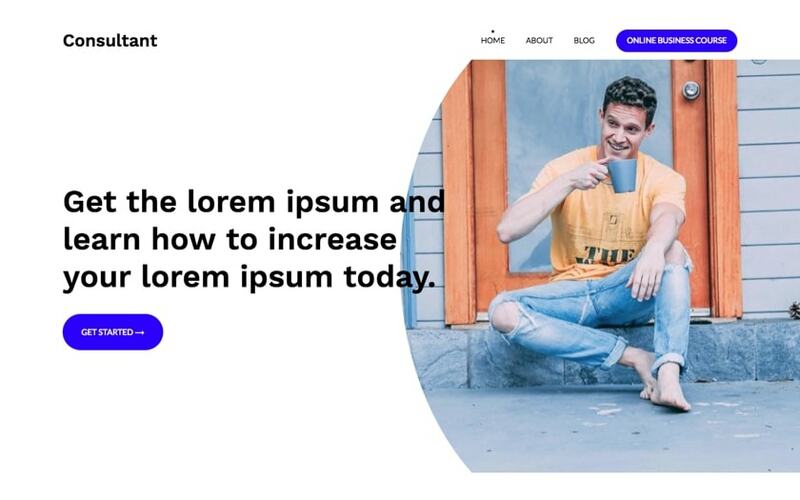 This gorgeous and trendy design will make your content justice. Moments is a minimal blog for a digital writer based on Pepper+ WordPress theme. Don’t you want to start filling it with your posts right away? Creative is a ready-to-use WordPress website with strong design decisions based on Pepper+ WordPress theme. 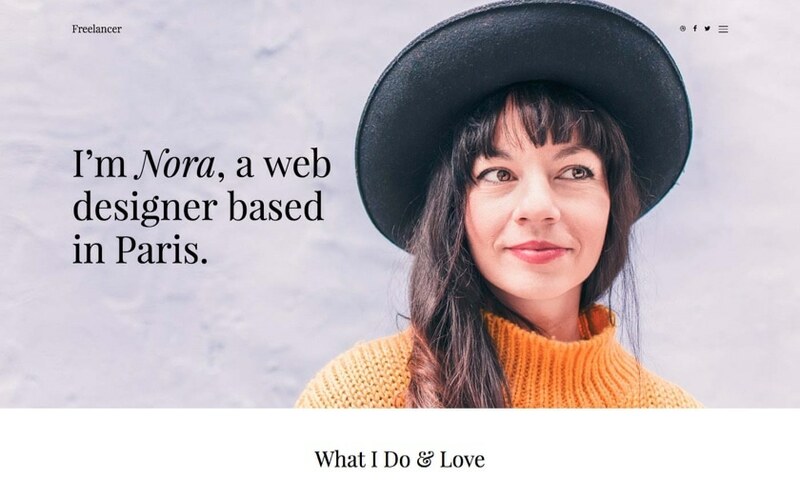 Suitable for any type of creative freelancer, this Artisan Site is meant to make your personal website look confident and refined, and it’ll make you look as an expert right away. Hope this list helps you find the perfect theme for your personal website. Remember you can use any of these ready-made sites as a starter and then customize it to match your voice. 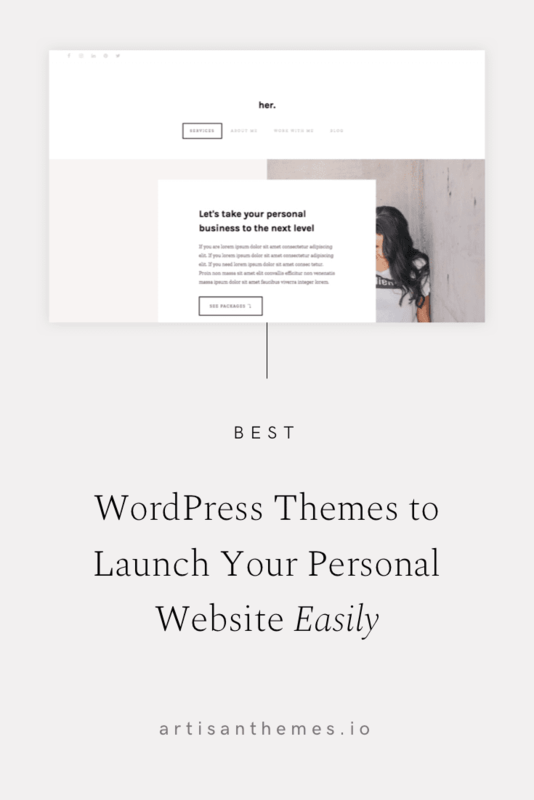 So pick one and start building your personal WordPress site right away. Wow those are really amazing WordPress themes designed especially for a personal website. I enjoyed the previewing them indeed. Keep up the great work.